Can you have democracy without democrats? In one province in Gabon, the stronghold of President Ali Bongo, the results declared by the Gabonese Electoral Commission indicated that 99.83% of the electorate turned out to vote, and that 95.46% of them voted for Ali Bongo! The question is: how can we ensure that election results in Africa are not dependent on an electoral commission or constitutional court that is in the pocket of the incumbent? Monsieur Jean Ping is one lucky African whose proverbial bread has for years been significantly buttered by the ancestors. His CV gleams like the customised gold-plated iPhones Goodluck Jonathan gave out as gifts to guests at his “daughter’s” wedding in 2014. On Wednesday, the results of last Saturday’s elections were announced in Gabon. President Ali Bongo was declared winner, beating former African Union Commission chief Jean Ping by the slimmest of margins. Bongo won a second seven-year term with 49.8 per cent of the vote to Ping’s 48.2 per cent, a margin of 5,594 votes. So, no surprises there. And what followed was also not a surprise in African politics. Ballots instead of bullets: do elections in Africa favour leadership changes? Milan (Italy) – For a long time, Africa largely did without multiparty elections. African would-be voters, however, began to raise their voices. The “democratic” reforms they demanded and obtained in the early and mid-1990s changed the political landscape of the continent. But did elections in Africa actually represent a better chance for voters to choose their leaders? Read the analysis of Giovanni Carbone, head for Africa Program at the Italian Institute for International Political Studies (ISPI). 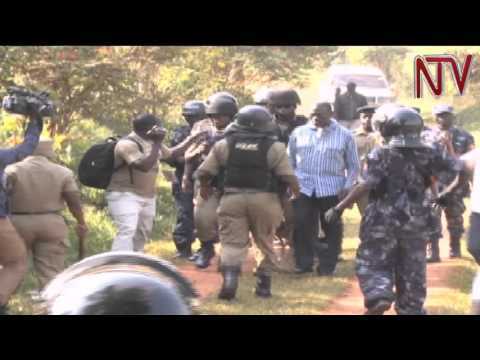 Kampala – Uganda’s main opposition leader, Kizza Besigye, was this morning arrested from his home in Kasangati. Besigye who had earlier announced he would go to the electoral commission to pick the official declaration forms of the presidential race was stopped as he attempted to leave his home. He was taken to a blue police van and whisked away to Naggalama police station where he is cur-rently detained. Besigye has rejected the results of Thursday’s election won by veteran President Yoweri Museveni, and called on his supporters to join a protest march on Monday.